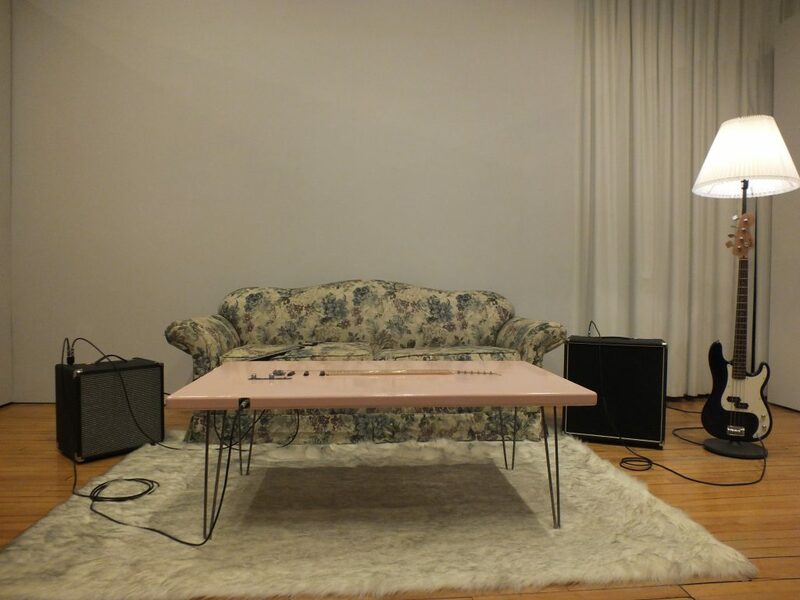 Jim Wehmeier, “home” Installation (2018) Mixed Media: guitars, guitar amplifier bass, bass amplifier, lamp, couch, synthetic fur rug, plywood, metal, spray paint, polyurethane. 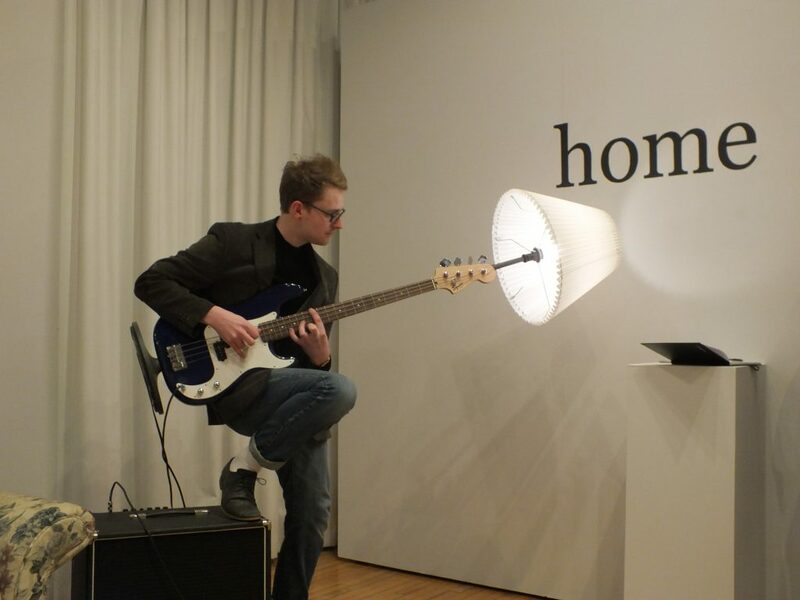 Jim Wehmeier, “home” Installation, Bass lamp (2018), Mixed media: bass guitar, lamp. 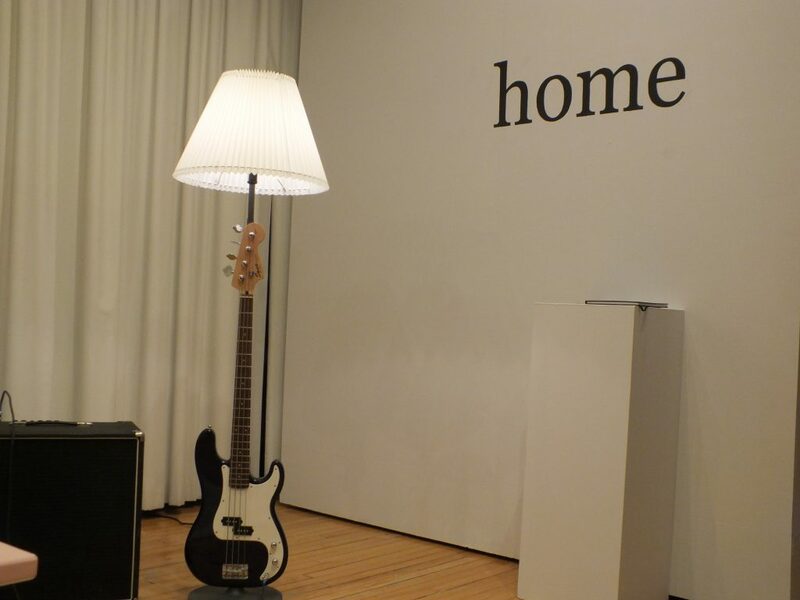 Jim Wehmeier, “home” Installation (2018) Mixed Media: guitars, guitar amplifier bass, bass amplifier, lamp, couch, synthetic fur rug, glass guitar slide, plywood, metal, spray paint, polyurethane. 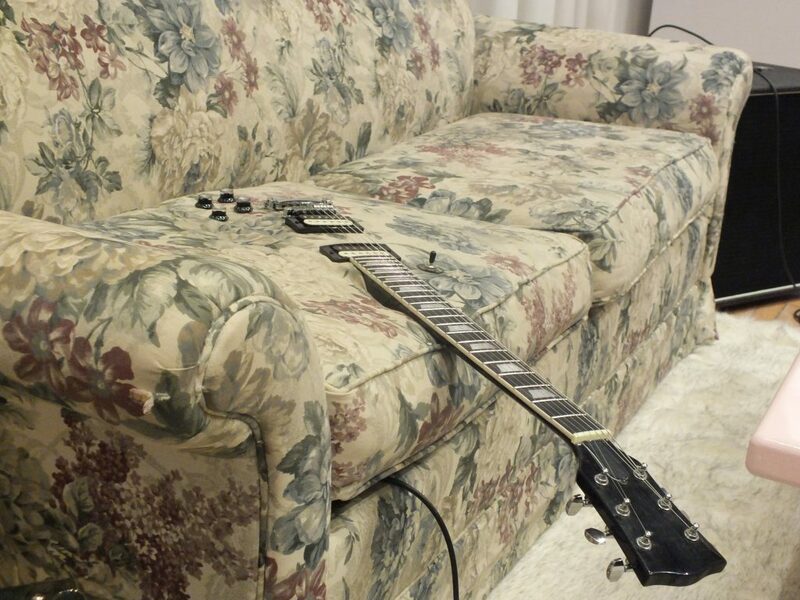 Jim Wehmeier “home” Installation, Couch Guitar (2018) Mixed media: couch, Epiphone guitar, replacement neck. 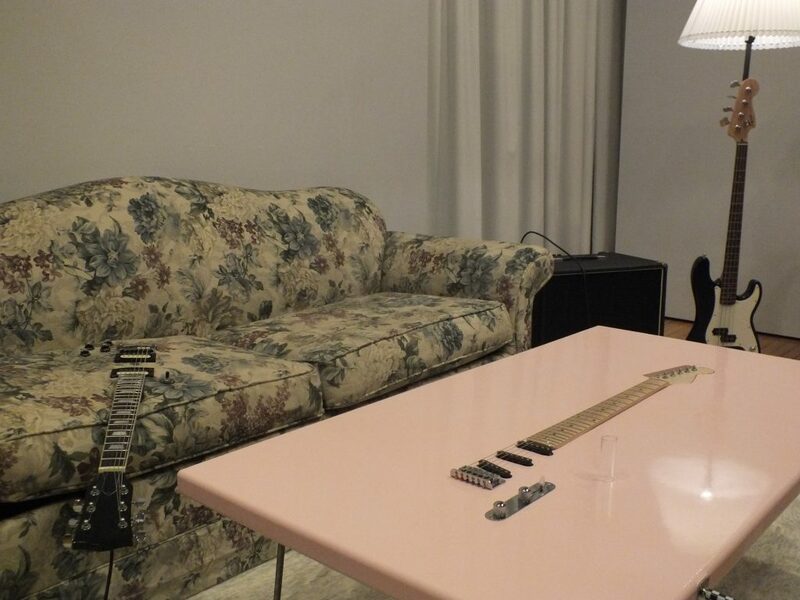 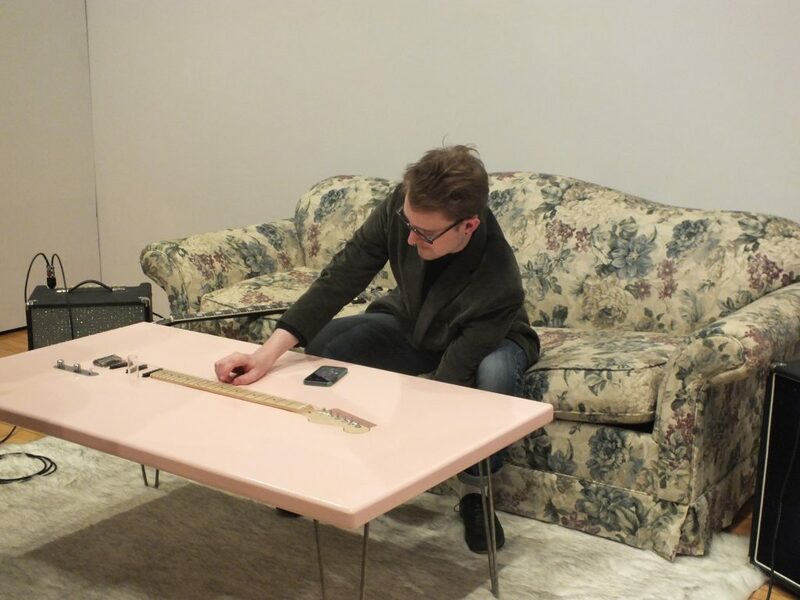 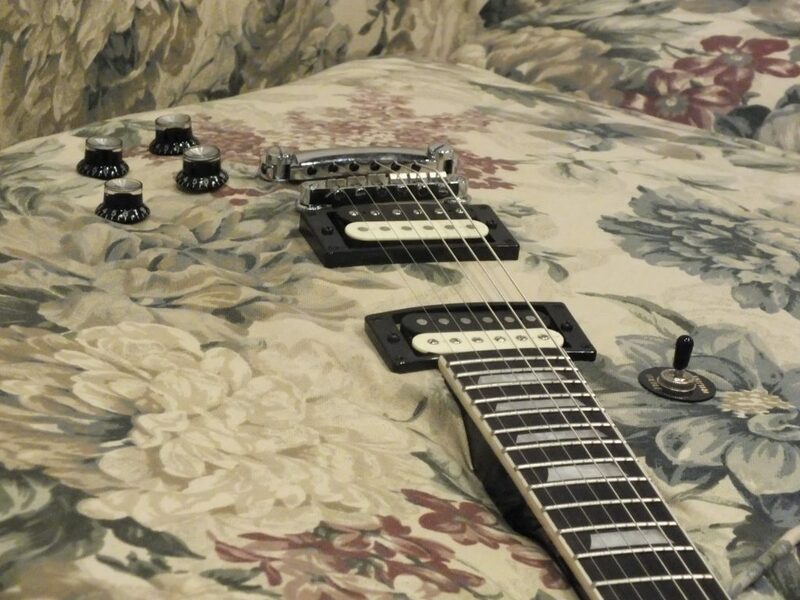 Jim Wehmeier, “home” Installation, Couch Guitar (2018) Mixed media: couch, Epihpone Les Paul guitar, replacement guitar neck.